VIENNA (Reuters) – The U.N. nuclear watchdog said Friday little substantive headway has been made so far in its long-running investigation into suspected bomb research by Iran, a setback to hopes for an end to a stand-off over its atomic activity. The lack of movement in the inquiry by the International Atomic Energy Agency will disappoint the West and could further complicate efforts by six world powers to negotiate a resolution to a decade-old dispute with Iran over its nuclear ambitions. 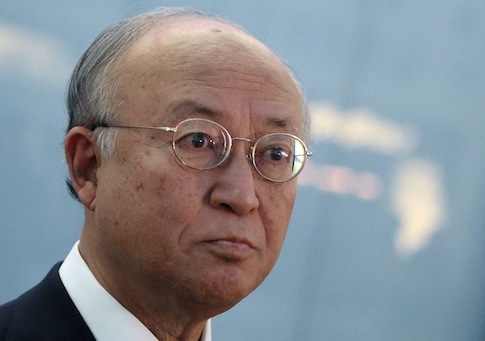 The confidential, quarterly IAEA report obtained by Reuters said Iran had failed to address key questions about the nuclear research–provided to the agency by Western intelligence years ago–by an agreed August 25 deadline. Moreover, the Islamic Republic had implemented just three of five nuclear transparency steps under a confidence-building deal it reached with the Vienna-based IAEA, according to the report. It said Iran, where a moderate president took office a year ago and revived nuclear diplomacy with the West, had also told the IAEA that suspicions about the nature of its program were "mere allegations and do not merit consideration." The IAEA had also observed via satellite imagery "ongoing construction activity" at Iran's Parchin military base, the report said. Western officials say they believe Iran once conducted explosive tests there of relevance in developing a nuclear weapon and has sought to "cleanse" it of evidence since then. Iran has long denied U.N. nuclear inspectors access to the base. In what big powers are likely to see as a positive note in the report, Iran cut its stockpile of low-enriched uranium–potential bomb fuel–to 7,765 kg in August from 8,475 kg in May. Iran struck an interim deal with the powers last November to scale back some sensitive aspects of its nuclear advances. Iran denies suspicions that it seeks to develop nuclear weapons capability from its enrichment of uranium. It says the program is for peaceful energy purposes only. This entry was posted in National Security and tagged International Atomic Energy Agency, Iran, Nuclear Weapons. Bookmark the permalink.